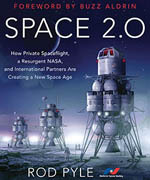 NSS has been a frequent advocate for a sustainable future in space based on lower-cost reusable vehicles purchased as a service from competing private companies. The NSS position paper “Now is the Time: A Paradigm Shift in Access to Space,” which can be found at http://space.nss.org/media/NSS-Position-Paper-Paradigm-Shift-in-Access-to-Space-2017.pdf, calls on the Administration, Congress, and NASA to fully utilize emerging reusable launch vehicles. Since this position paper was written, both SpaceX and Blue Origin have made dramatic strides in reusable launch vehicle technology, including the first launch of the Falcon Heavy. The National Space Society looks forward to seeing NASA purchase flights on reusable commercial vehicles as we return to the Moon as part of a strategy that makes optimum use of reusable technologies, architectures, and systems. 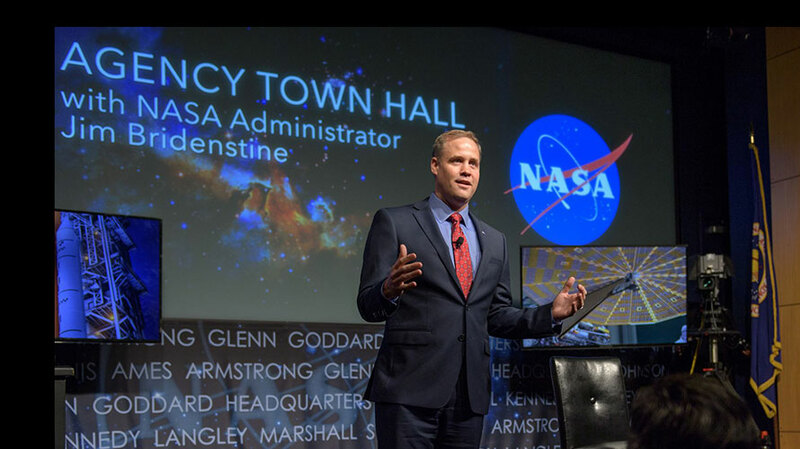 Image credit: Bridenstine speaking May 17 at NASA HQ in Washington DC (NASA photo). I totally agree with Dale Skran and Bruce Pittman in their support of a Cis-Lunar architecture based on reusable rocket technology. In order to create a sustainable manned space program that can affordably have humans occupying Cis-Lunar orbiting habitats and establishing lunar surface outposts, reusable technology has to become the standard. As a member of the NSS Membership Committee and Chair of the NSS Value Enhancement Sub-Committee, I fully support NASA Administrator Jim Bridenstine’s vision of a sustainable Lunar architecture based on reusable rockets and associated technology. What a mass of total nonsense. I’ve heard all this before. First of all you don’t start planning a return to the moon by cancelling the lunar rover for the south pole ice deposits. If NASA thinks that reuse is the future . why are we building expendable rockets like SLS and 1960,s space capsules? Reusable vehicles are important in lowering cost but there is another factor that’s far more important. All this talk of building,launching, deploying,and maintaining shuttles, space stations, lunar transports, landers and surface bases is way beyond what the American taxpayer will support. The reason for this high cost is due to one critical factor , the low exhaust velocity of the best chemically powered rockets. Only nuclear power can provide the required exhaust velocity needed for economical operation of a Earth -Moon transportation system where we can directly launch from Earth.You can dream of space the way you always have but it will just be a dream. 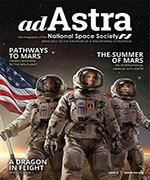 Donald Ernst has critiqued the NSS position on using reusable rocket technology to establish a sustainable Lunar program with manned orbital habitats and bases on the Lunar surface. He states that using chemical rockets for this endeavor is not affordable because of the limited thrust that can be generated by chemical propulsion systems. His solution to this problem is to use nuclear propulsion and I assume he is referring to nuclear thermal propulsion. Theoretically, nuclear thermal propulsion systems could generate a high thrust while having a higher specific impulse than chemical rocket systems. My reply to Mr. Ernst’s position is that nuclear thermal propulsion systems cannot be launched from Earth because the theoretical maximum thrust is not high enough to reach earth orbit. Nuclear thermal propulsion is suited for long distance space missions such as a manned mission to Mars. This is mainly due to the very high specific impulse. Spacecraft using nuclear thermal propulsion can indeed be launched from the Earth. The NERVA engine developed by NASA in the 1960’s and 1970’s could not however.The NERVA engine fuel elements did not have enough power density to do that but another design did , called DUMBO. It’s fuel element power density was much higher, 65 time as high. NERVA’s power density only allows it to perform deep space missions and mabe upper stage work. The U.S. nuclear rocket program got it’s start in 1955 as project Rover which was to develop a nuclear powered ICBM to carry the heavy warheads of the day. As warheads shrink in size and weight and chemical rockets were developed the project shifted to deep space missions. DUMBO was not a flight ready system , there were problems but they could be worked out and even better designs might be found.